Meyerbeer enjoyed a privileged upbringing as the son of a rich and influential Jewish merchant who was an official contractor to the army in Germany and owner of sugar factories. His mother's family were well-regarded bankers and their borne near Berlin was something of a focal point for gatherings of the cultural elite, including nobility — Meyerbeer's music teacher also coached the royal princes. The composer made his first public appearance as a pianist at the age of seven. By the age of 19 he had collaborated with the head ballet-master of the Royal Opera and created a "ballet pantomime" called Der Fischer und das Milchmadchen (The Fisher and the Milkmaid). In the same year, 1810, he moved to Darmstadt to continue his musical education. There he met other students and under the loose leadership of Carl von Weber formed a circle who wrote reviews ot each other's work under pen names. During this period he wrote two operas, Der Admiral (The Admiral) and Jephtas Gelubde (Jephta's Vow). He travelled to Munich and managed to have Jeplnas Geliibde staged at the end of 1812, to a rather indifferent audience; the following year, a comic opera, Wirth und Gast (Host and Guest), met the same fate in Stuttgart. In 1814 Meyerbeer became court composer to the Grand Duke of Hesse. Meyerbeer's compositions continued to receive mixed receptions, while his playing generated much admiration. His friend Salien suggested he lighten the rather heavy Germanic construction of his operas and in 1816 Meyerbeer travelled to Italy to absorb the freer approaches of the Italian style. With interruptions to oversee foreign productions, he remained in Italy for nine years. During this time he was greatly influenced by the works of Rossini and wrote six increasingly successful operas. 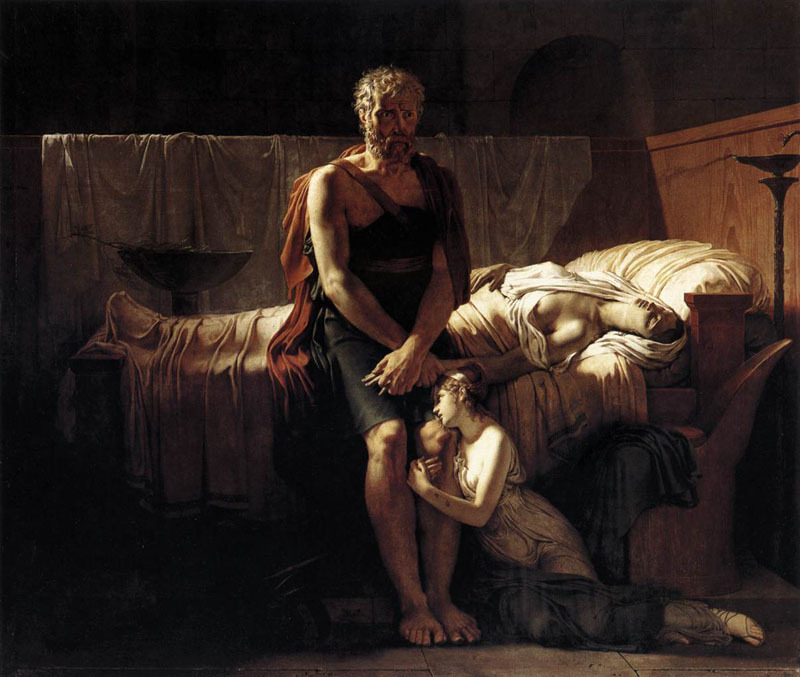 Of these, Il Grociato in Egitto (The Crusader in Egypt) in 1824 was a particular triumph and led to productions in London and Paris, where Meyerbeer met the well-known librettist Eugene Scribe. In 1827 he and Scribe began their first collaboration, the Grand Opera Robert le Diable (Robert the Devil), performed to huge acclaim in 1831. Initially conceived as an opera comique, it was revised so that its theme of good versus evil would create a greater impression. The Revue Musicale of 1831 shows its impact: "... the score of Robert le Diable is not just M. Meyerbeer's masterpiece; it is a work remarkable in the history of art ... It incontestably places M. Meyerbeer at the head of the present German school."' Seventy-seven theatres in a dozen countries staged the opera, later described by Wagner as having a sinister "deathless" atmosphere. 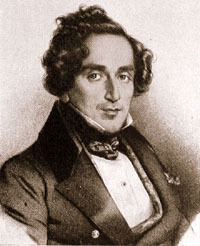 Meyerbeer was awarded the Legion d'Honneur three-years later, and finally settled in Fans. Within a year of this success Meyerbeer and Scribe were again at work on Meyerbeer's greatest accomplishment, Les Huguenots, premiered at the Paris Opera in 1836. The opera drew on the conflicts between Catholics and Huguenots in sixteenth-century France, and, typically of Grand Opera, included as many ballets, choruses, and crowd scenes as possible. It was an overwhelming success and was the first opera to be performed more than one hundred times at the Paris Opera. Scribe and Meyerbeer followed up with Le prophete, performed successfully in 1849. Meyerbeer's last opera, L'Africaine, was based on the travels of the explorer Vasco da Gama. Begun in 1837, it was laid aside for work on Le prophete and was not completed until 1863, receiving its first performance the year after Meyerbeer's death m 1865. In all Meyerbeer's Grand Operas he gave preference to singers over the orchestra, and showed himself a composer who loved experimentation and considered music to be entertainment rather than high art. His operas made him a rich man, and although praise for his works turned to criticism in later years, his influence can be felt throughout nineteenth-century opera, especially in Verdi's Don Carlos and Aida and in Wagner's early opera Rienzi. The recommended work, Les patineurs, is a ballet score by English composer Constant Lambert, written for the Sadler's Wells Ballet, London, in 1 937. It draws on music from two Meyerbeer operas, Le prophete and L'Etoile du Nord. Scene and romance of Valentina from "Hugenotes"